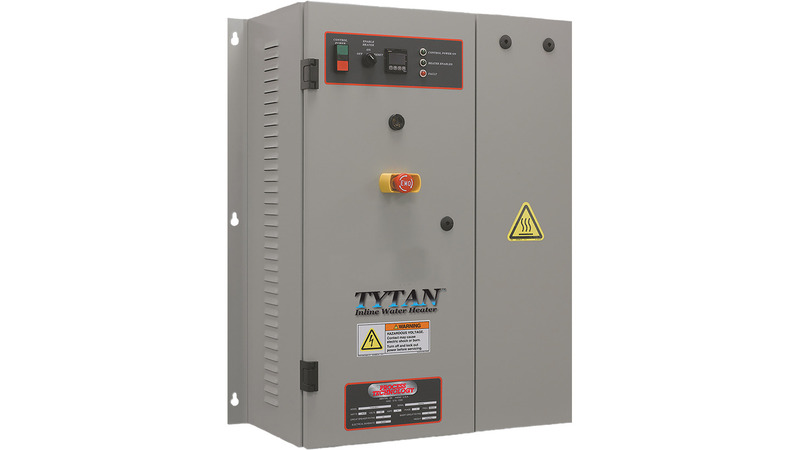 The Tytan Water Heater has ultra-fast heat up and superior temperature stability regardless of application. >99% element efficiency contributes to low cost of ownership (COO) and excellent return on investment (ROI). Excellent temperature accuracy over a wide flow range can substantially improve process consistency.